Shopping malls combine the community aspect of traditional stores with the all-in-one appeal of online shopping. For this reason, they remain a favorite for many consumers. But this is not to say there’s isn’t room for improvement when it comes to the mall shopping experience. If left unchecked, it is easy for the atmosphere to become stale and outdated, leading to the decrease in popularity and even closure of establishments. AV equipment can help solve this. 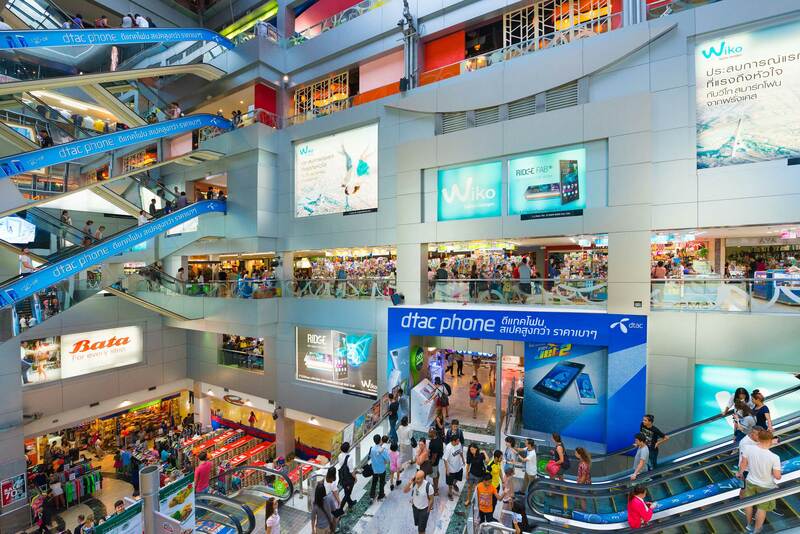 A strong AV strategy can bring shopping malls into the modern age. This allows shopping malls to set a cohesive, engaging atmosphere from entrance to exit. But traditional AV equipment runs into its own set of issues. It can be incredibly difficult to learn, and even harder to change. It isn’t very versatile, which means that just because a certain system works with the needs of one store doesn’t mean it will meet the needs of every store. That’s where AV over IP, or AV that works using the internet, comes in. AV over IP is very popular in the AV space, as Installation International notes. And it’s not just AV professionals who can benefit from this versatile, cutting-edge technology. Inavate finds that AV is appropriate for just about everyone, and is being used everywhere. And its nature as an easy to use, easy to update system makes it the perfect pick for shopping malls everywhere. What should a shopping mall look for in AV equipment, and why is AV over IP the solution that meets their needs? These are all needs that a typical shopping mall would have, and they are also needs that AV over IP can provide for. As it’s built around the internet, something almost everyone is familiar with, AV over IP’s learning curve is not nearly as steep. Further, it integrates easily with the existing equipment already onsite. Another thing to consider is the number of screens needed. Shopping malls will ordinarily need many screens throughout the facility, some playing the same thing in sync. These need to be staggered carefully to ensure that there isn’t any echo or overstimulation for customers who are walking through the mall. As AV over IP works with the internet, it will update as the internet updates. That means, unlike traditional AV equipment, you have less worry about the equipment becoming outdated. It’s reasonable to assume that the use of AV over IP equipment will only continue to grow. Implementing and learning how to use it now could save you time and hassle. “As networks have become more affordable, there’s been a dramatic shift to streaming video over IP networks. We see it everywhere now: in enterprises, as well as in healthcare and education,” says Tom Nyhus, VP of engineering emerging technologies at IVCi. 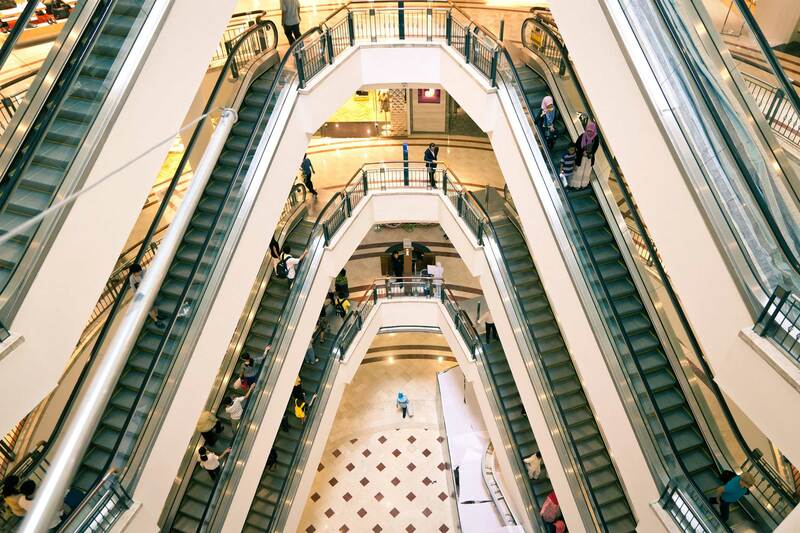 Shopping malls can easily be the next step. There are several types of AV over IP solutions, as Adam Forziati notes. Whether you want to focus on higher resolution or security, there is a system out there that will match your needs. A screen can greet them from the moment they walk in. As they walk through the mall, maps can update in real time to reflect store operating hours. Near relevant stores, other screens can display special sales or deals. With traditional AV equipment, or even just paper billboards, updating things to reflect the changing stores and sales would be difficult. But AV over IP provides a much easier way to keep things up-to-date. AV over IP can also ensure that the sound flows smoothly as a customer walks through the mall, transitioning from songs to ads in a way that isn’t overwhelming. Because everything is coming from the same server, it’s much easier to integrate. Any type of equipment comes with a risk. When discussing AV over IP, security is the risk that is mentioned most often, and with good reason. Because it distributes information over the internet, that does leave it vulnerable to hacking. 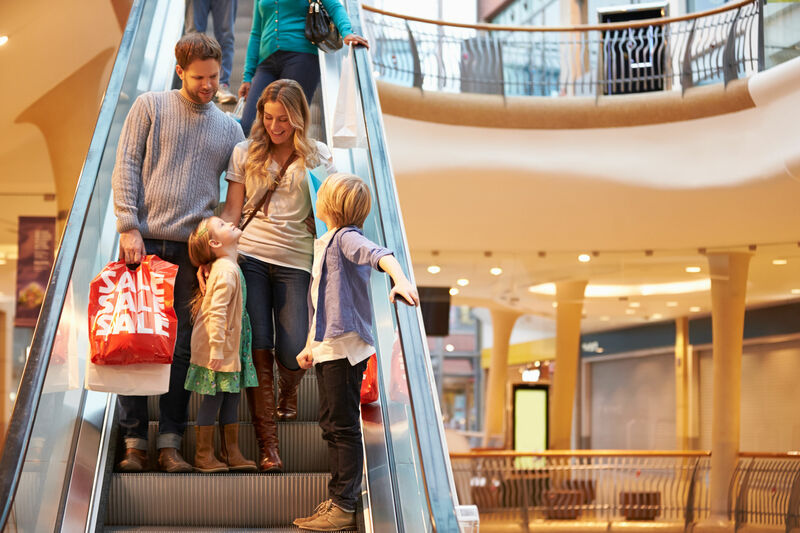 The Commercial Integrator team notes that deploying the system “on a dedicated IP network or distinct VLAN segment to isolate traffic and restrict network access” is one useful measure a mall’s IT team could take. Encryption technologies exist for AV over IP equipment, and they address multiple components of AV system design, as Matrox notes. Crestron’s Nic Milani stresses the importance of transparency between IT and security. Communication can help to ensure that threats are caught before they happen. At the end of the day, Steve Metzger notes that there isn’t a single answer to AV over IP security. “It all depends on how you approach the situation.” Decide what works best for you and your business. AV over IP is a powerful solution that can change the customer experience with little to no learning curve for those who integrate the system into existing infrastructure. While you should still research to make sure you find the perfect system for you, and make sure you take the time to address any security concerns, this technology is only continuing to grow. Implementing it now could save some headache in the future and give you the option to scale up as necessary. Case in point: Charlotte Ashley recently discovered that AV over IP is even being used in a luxury apartment in Dubai. The versatile nature of this solution makes it perfect for a shopping mall that has grown to have its own unique set of needs, based off of the needs of its community.